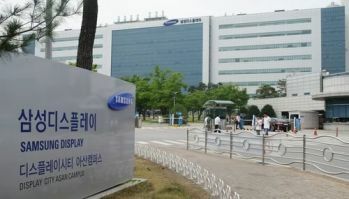 According to reports, Samsung Display aims to lower the cost of their OLED displays, to be more competitive with LCDs. In fact, it seems that SDC aims to bring small-sized OLED cost below that of competing LCDs. SDC plan is probably to increase production efficiencies, use better processes - and also to push supply chain suppliers to lower their own component cost. Universal Display for example mentioned a few months ago that Samsung Display requested them to lower their material costs. Some report that SDC asks suppliers to lower cost by 30%. On the other hand the company wants to increase total AMOLED output so this move may prove to make sense for everyone involved. SDC is now hoping to diversify its customer base - While they supply OLEDs for many companies - including Nokia, Motorola, Blackberry, Panasonic, Nikon, Oculus, Pantech, BLU and Gionee, Samsung Electronics is still their biggest customer and they want to lower Samsung Electronics' OLED share to 50% within 3 years.